Rhapsody and every corny joke that goes with it. To me, that means Bohemian crystal. The souvenir shops are full of Bohemian crystal, both cheap and expensive: goblets, vases, candy dishes and figurines like your Grandmother used to display so proudly in her china cabinet. These don’t do a thing for me. I came for the Czech crystal beads. Before I left the U.S. I scoured the Internet in search of bead retailers who would be convenient for me to visit during my trip. I found Robinson Beads without much trouble. 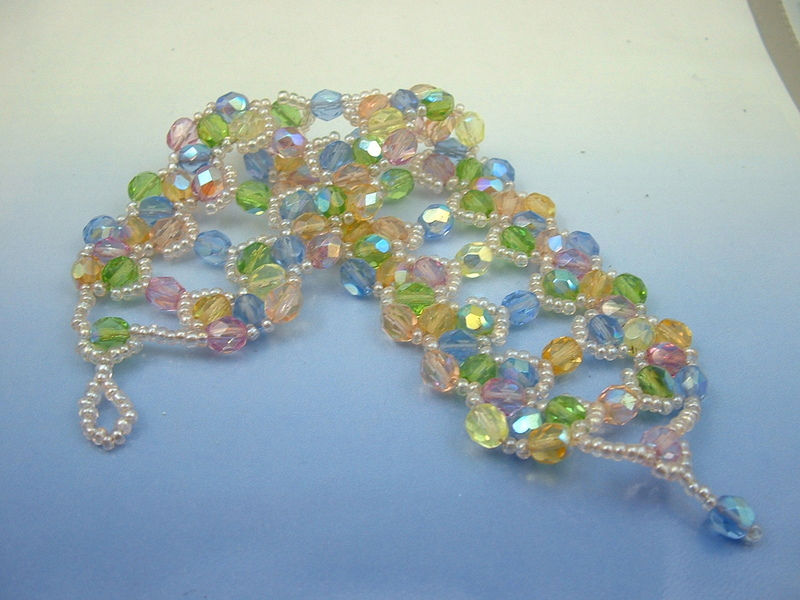 It’s a small store with a large selection of Czech crystal and glass beads at reasonable prices. I didn’t buy much because I have a large collection of Czech beads already and I was in search of something new. I did buy a copy of Perlen Poesie and read through several more issues. This is a fabulous beading magazine out of Germany that I’d heard of but I never got to leaf through an issue. Now that I have, I will subscribe. I also picked up a few issues of Koralki a Czech magazine with much simpler projects. I always like to get at a copy of at least one beading magazine from each country I visit and Robinson’s Beads is the only place in Prague where I saw any beading magazines for sale. My big find came by chance. While trolling the open Market on Havelsky Street near Old Town Square in Prague, I saw a stall crowded with customers looking at beads. Did someone say beads? I ended up buying some attractive and different looking (to me) crystal beads, some old favorites and a few glass beads. The prices were good. 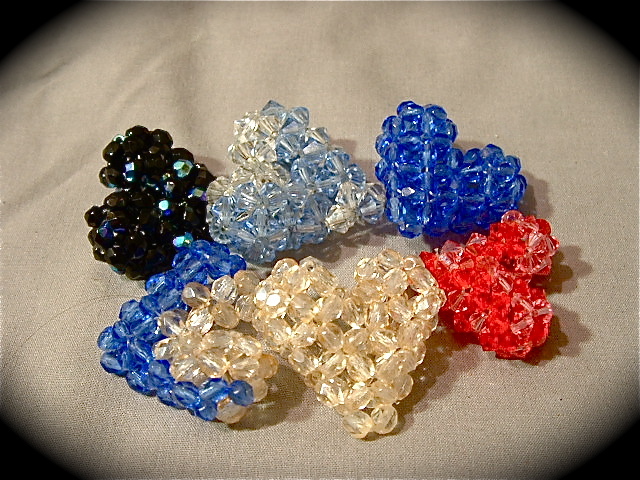 An example: I paid $5.00 U.S. for a bag of 300 very sparkly 6mm round faceted crystal beads. The proprietor (and I am sorry I didn’t get her name) explained that her son ran the business and sold beads on the Internet. I took her card and looked up the site: http://www.koralky.cz and saw that they run five bead stores (not including the stall) and that three are in Prague. By the way, koralky means “bead” in Czech. The koralky.cz site is in Czech and it will likely stay a Czech language only site because they get so much new inventory that requires frequent page updating. They do speak English, however, and will be happy to answer questions if you contact them. Here’s another tip: if you want a good tasty Czech meal that’s not over priced or swimming in grease (with vegetarian options too!) try Blatnice, Michalska 6-8/511 Prague 1. 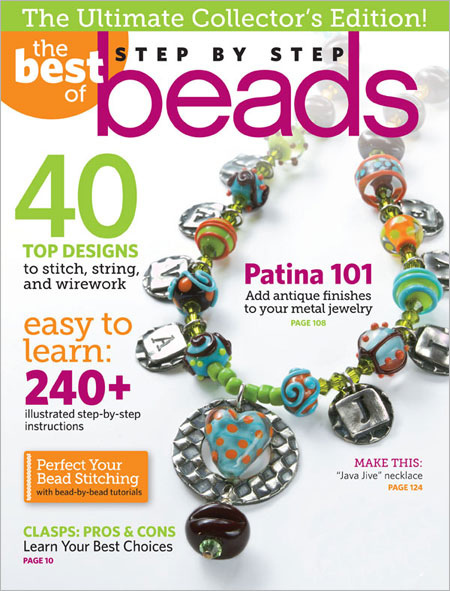 I got a nice surprise this week when I learned that my Tokyo Rows beaded bracelet project made it into Interweave’s collector’s edition of The Best of Step By Step Beads. The Japanese Flower motif is not original with me but I love it because it lends itself to so many variations. It’s easy to take one flower and make a simple pendant, and that’s just one example. I once thought that Japanese bead work made the most interesting use of the beaded flower until I saw some stunning Brazilian pieces using this motif when I visited Rio De Janeiro a few years ago. Here is one of the bracelets I bought there, that’s a variation of the design. 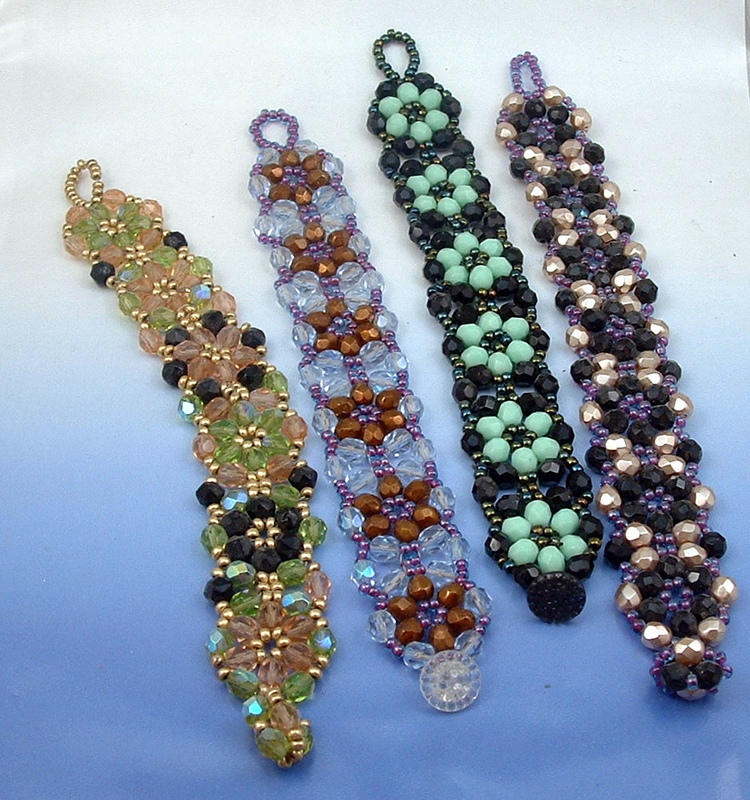 With forty projects, there’s plenty of material in The Best of Step By Step Beads to keep you busy for awhile. The best part of developing a design, however, is when someone takes it in a new direction. Triche Osborne ‘s Candy Wheels Necklace is just one example of how you can take a beading concept and make it your own. I love those puffy crystal hearts you see people wearing on a chain around their neck. Each heart is made from 73 4mm crystals (Swarovski looks best) strung on one piece of monofilament. You start by adding four beads, and working in a three dimensional RAW stitch until you get the heart. The problem is that heart does not begin to take shape until you’re almost finished making it. And you change directions many times: down becomes up, up becomes down, and back again. Unless you have someone to show you, even the best beader in the world will have trouble with written directions. 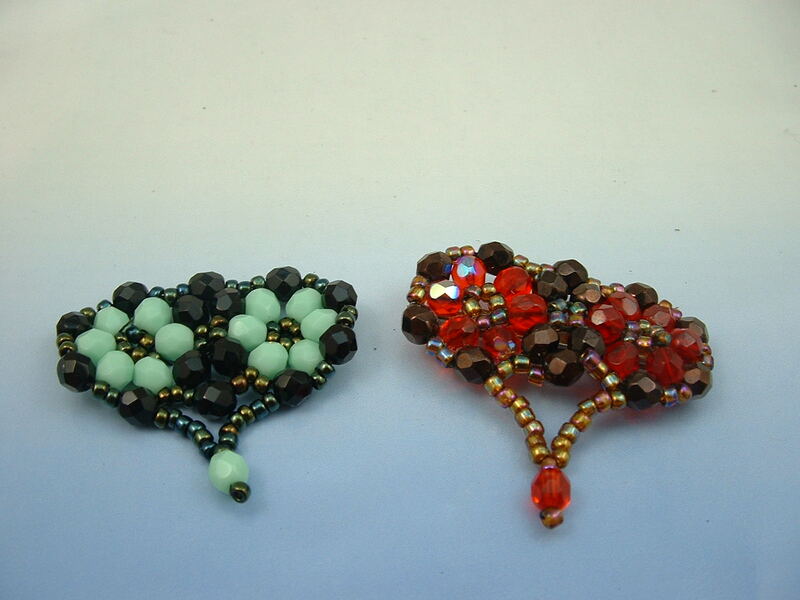 Phyllis Fogel taught me how to make the hearts you see above when I took her class at Jubilee Beads and Yarns. 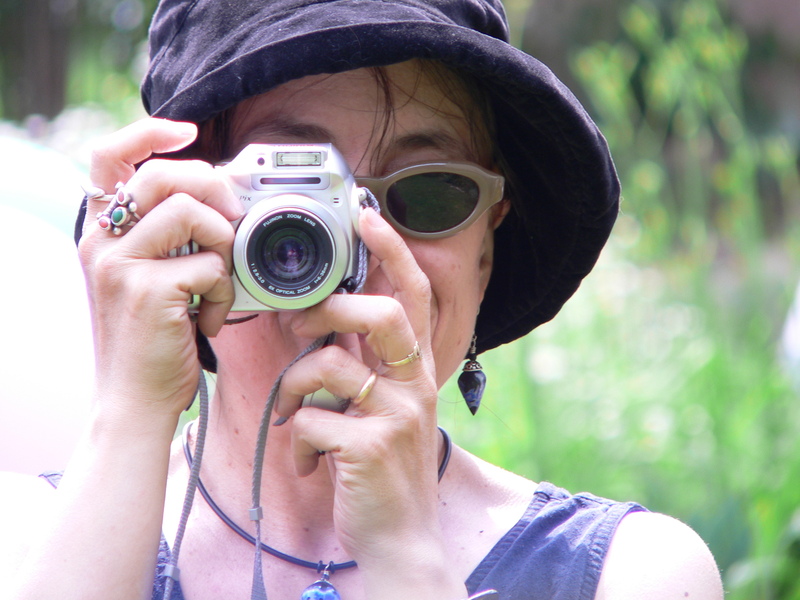 The Jewelry Making Professor site offers a DVD with two full length video tutorials showing how to make the puffy heart and open heart designs. I haven’t watched the DVD, but the preview sure looks promising. If you want to try your luck making hearts the old fashioned way, here are some links to get you started: a beaded valentine heart, an open heart tutorial, a round heart tutorial and a flat heart tutorial. And then there’s the Japanese company who first published the books that got the whole craze started. 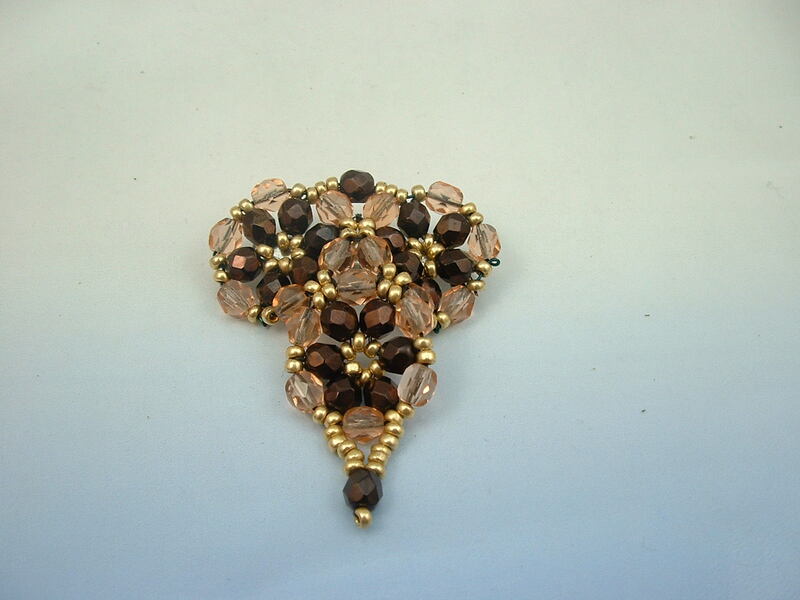 Go to their web page to find directions and diagrams for Bow’s Open Heart, click here and then click on “free projects.” Take some time to browse this site and discover the wonderful world of Japanese beading.